Over the next half decade, we’ll witness the birth of truly intelligent vertical agents, each of which focuses on a single task and its flawless execution. As more of these come to market, employees will increasingly port agents from one job to the next. Much like Bring Your Own Device (BYOD), this new paradigm promises a host of benefits for both employees and employers and will likely change the nature of work. Dennis Mortensen, CEO & Founder of x.ai presented at the Virtual Assistant Summit in San Francisco last week on 'The Emergence of Bring Your Own Agent (BYOA)'. x.ai have an artificial intelligence driven personal assistant that lets people schedule meetings using plain English and nothing more than a CC to amy@x.ai. If you weren't able to catch Dennis' session at the Virtual Assistant Summit last week, I am sharing my notes with you. The challenges with building an agent is communication, by making it so that users can communicate using natural language and making it so that the AI's response is as natural as possible. With an intelligent agent you can request a job to be done, it will understand it and have some logic/intelligence to do it and tell you what it did and didn't do. Samsung, Facebook, Amazon, Google, Microsoft and Apple are leading the way for AI. You wouldn't call Siri, Cortana, etc. an intelligence agent but rather horizontal AIs. They will be the enabler going forward. These AIs are good for questions such as asking 'who is the president?' However, requesting to get John and Tommy together for a meeting in San Francisco tomorrow, would result in a page of web results which isn't what you are after. There will be agents that can do one job and do one job really well. "An intelligent agent is something I used to have to do yesterday and I don't have to do tomorrow." Therefore, the employees of tomorrow will have their productivity measured on their ability to bring in technology rather than using it. 1. With regards to scheduling of meeting, you want to be the only platform to do that. However, you must have thought of other agents that you want to combine with it. I feel there is a single agent market. There is a whole set of advantages for a single agent. 2. You mentioned BYOA will create business opportunity. Would this bot assign to another bot? Is this going to happen? I hope it will play out like the Amazon setting. It might use Alexa as the enabler and have many agents that can do what you want them to do. Typically you would invest 80% of the time to Natural Language Understanding (NLU): Read. Then make sense of the data extracted and the invest in the Natural Language Generation (NLG): Write. 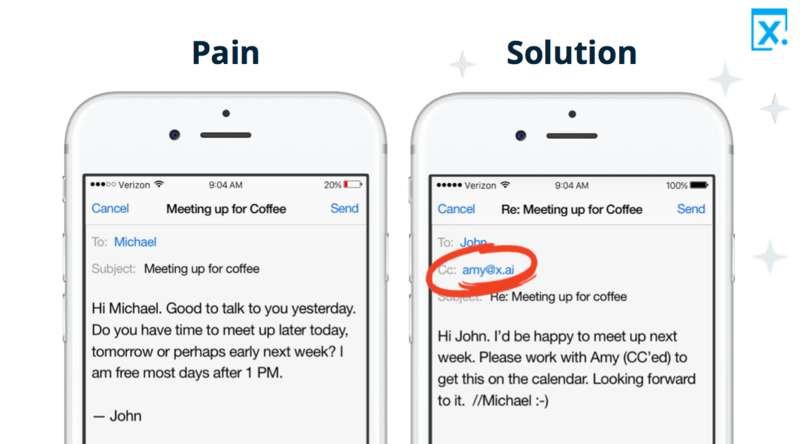 We have invested heavily in the outward part… Natural Language Generation (NLG): Write. 4. What kind of technology so you think will be necessary across different vendors/industries? See the enablers. There will be a host of AI's that are specialised and very good. Allow those individual intelligence agents to speak to each other. For instance, if John was to ask Amy to organise a meeting with Tommy but he can't make it to Boston in time, then his travel agent can say no he can't make it. Then the receipts agents can keep the receipts so he can be reimbursed for what he spends. This is how the single agents can work together. To access more presentation content for both the Virtual Assistant Summit and Deep Learning Summit, login/signup here. You can buy a membership that will allow you to access all our great content for 12 months. Contact hello@re-work.co for more details. We will be hosting the Virtual Assistant Summit in London, 21-22 September, alongside the Deep Learning Summit. Register here.